Last Friday we just finished the testing and packing of SYA-150 cooking oil purification system. This oil purification system is especially used for purifying used cooking oil and semi-finished new cooking oil. 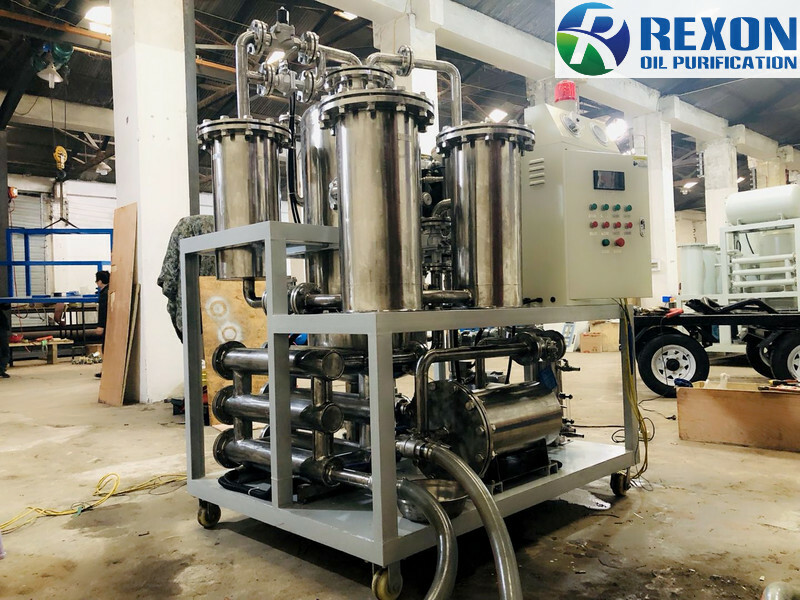 The whole machine is built by 304 edible type stainless steel material, from the oil inlet, oil pipeline, to the oil outlet, every part which will touch the cooking oil is 304 stainless steel, including the stainless steel oil pump. This plant can fast remove the moisture, particles contamination from oil without any hurt to oil property. Under a suitable vacuum pressure, this plant can dehydrate oil very high efficiently. After treatment, the UCO can get a PPM below 50, and get a cleanliness below 1micron. Welcome to contact us for any of your oil problems and get a solution from us!